Happy June, Sew My Style team! 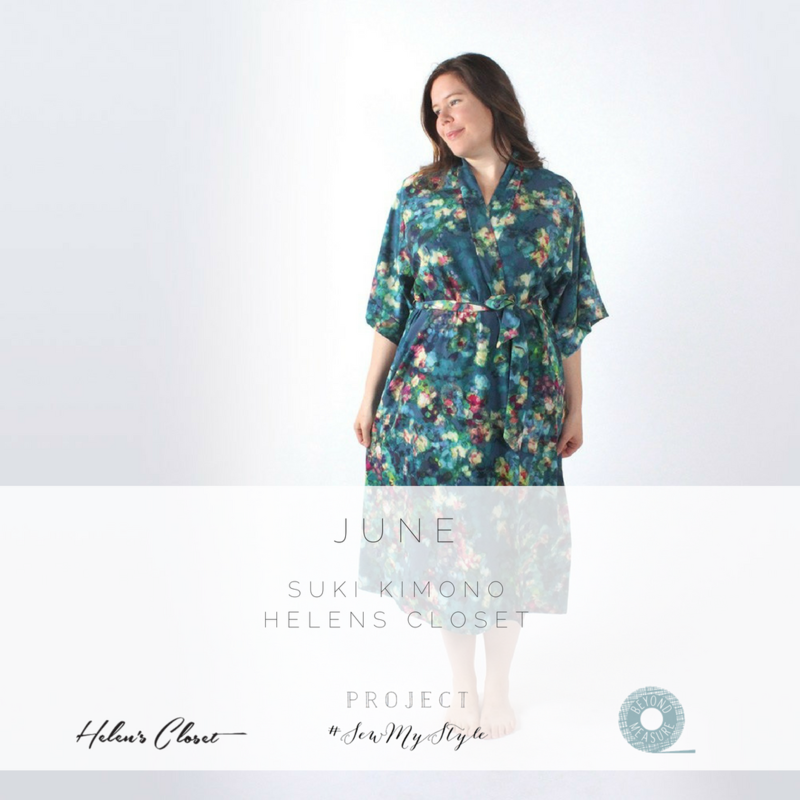 I am so excited to be hosting this month’s make – the Suki Kimono! Just in time for lightweight summer robes and pool cover-ups for those of us here in the Northern Hemisphere, and indoor lounging next to a fire for those of you below the equator – this kimono is pretty much the epitome of casual cool loungewear. Links to each – left to right starting at the top! Sleeve detail! Whether lace or fringe, you can’t go wrong with a little fancy detail. This is would work equally well to dress up a printed fabric or a solid! 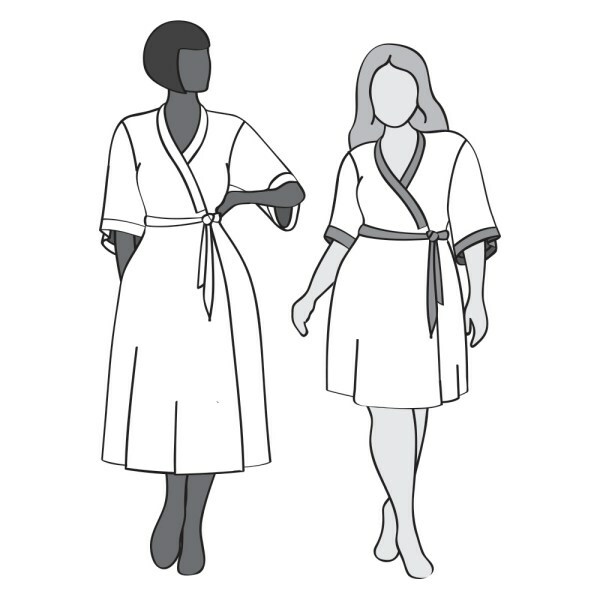 Linen Robes – I had no idea linen robes were so wonderful. Perfectly minimalist, a great linen robe could be dressed up as a duster with jeans and heels, or worn while binging netflix (so stylishly) on the couch. Cap Sleeved Robes – I saw the cutest photo (don’t worry, it’s on the board!) of a cap sleeved robe. This could easily be achieved by slightly dropping the shoulder, omitting the sleeve pieces, and finishing with a contrast bias binding. So chic! Robes on the street – Whether over a cute sundress, your bathing suit, or jeans and a tee, don’t forget that the Suki Kimono is not only the perfect loungewear piece, it is also perfectly suitable for being worn out of the house! I hope you are enjoying planning out your Suki Kimono! While you are getting your thoughts organized, don’t forget to check out Helen’s posts on her blog! 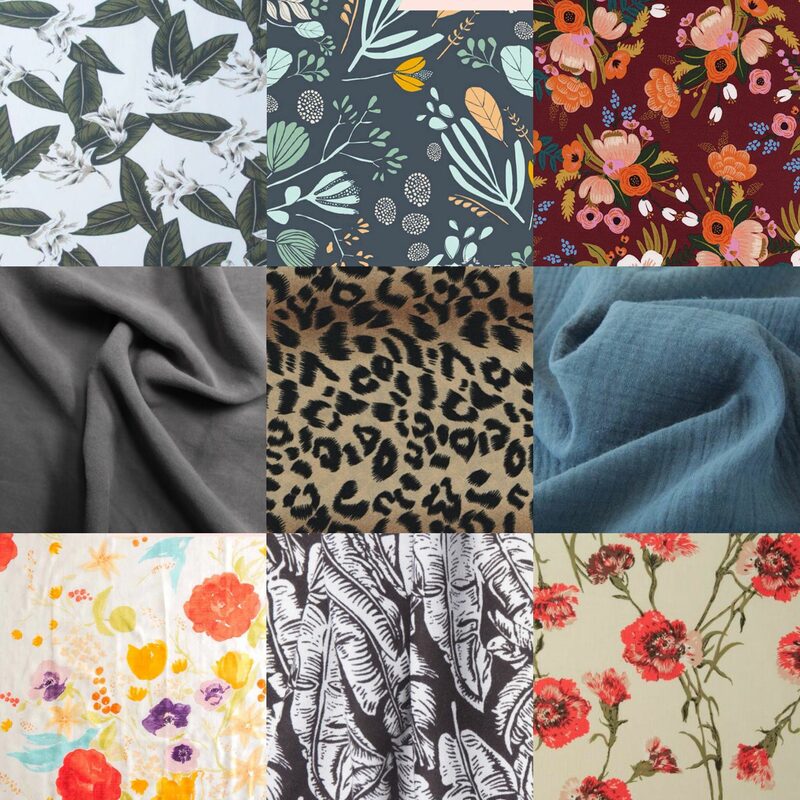 She posted some great fabric and styling suggestions when she first introduced the pattern here, and has also posted a great Suki Kimono Dress tutorial here! She’s also been hinting over on Instagram about an upcoming sewalong – so keep your eyes open for that! Helen’s patterns are always impeccably written, and this one is no exception, but a sewalong is always such a great resource! I’m not quite sure if I’m more excited to see what you make, or how you’ll wear it – but keep me in the loop! I’ll be back later this week with my own take on the Suki!! Until then, leave me your favorite fabric and styling tips in the comments.